Our brilliant services on ASP.NET Server Side Scripting (C#/VB.NET) is fulfilled by running a script directly on a web server for dynamic pages. Server-side scripting is a web server technology where user's request is fulfilled by running a script directly on a web server to generate dynamic pages. 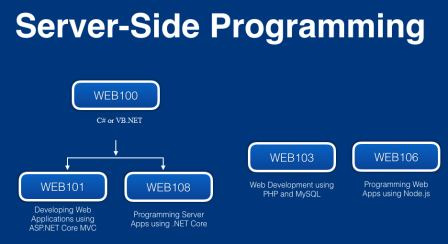 Enaviya offers brilliant services on ASP.NET Server Side Scripting. The Server Side Scripting code runs on the server side, not on the client. It is a strategy utilized as a part of web development which includes utilizing scripts on a web server which deliver a response-customized for every client's solicitation to the website. Access e-mail servers, server-side databases, files, mainframes, etc.